2/3 of White Wheat is exported. Now, let's get back to earth. 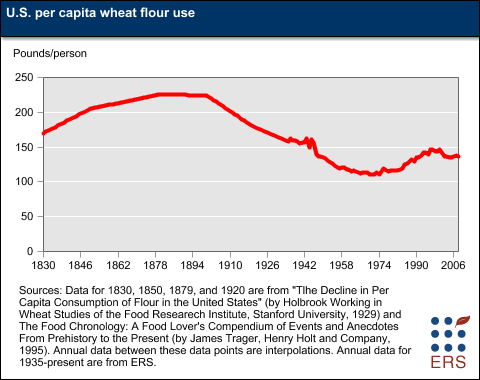 WTF is going on that Oregon does not grow Durum wheat? Oregon is an amazing place. The farrmer's markets here are some of the best anywhere. Considering how much produce is grown here, I figured this was just an over sight by the massive USDA. So I took it as a challenge to find local Durum wheat. Why would I do this? Well, for those of you that don't know, I was trying to make ravioli, and each of my blog cooking adventures I try to get as local as possible and be honest about what can't be sourced locally. That way I am trying to get closer to the source and really be true to the ideal of eating what grows around you. I am always a little perturbed by "local" recipe books and restaraunts that really just feature a locally sourced main ingredient which surrounding it and covering it with other things that come from who knows where. That's just a local headline with a foreign cast. Pasta Works--great pasta, not local. Pasta Works is very well known for their fresh pasta. Being a local Portland business, I thought they might have some leads on local pasta. But that was not the case. Pasta Works uses imported OO flour from Italy for their own pasta (or so I was told by the lady on the phone), and they do not sell local Durum flour either. After the crushing news from Pasta Works, I decided to take a step back and try to find Oregon wheat in general. But that didn't work either. Pearl Bakery--great bread, not local. Pearl Bakery gets their wheat from Montana! Outrageous! Wow, another set back. I decided to do some research on my own. Finding information on specialty wheat production is not as easy as it sounds. Everything about Oregon wheat is about White wheat because we make so much of it. However, when I started digging I found that OSU had a Durum test program in 2000 that was intending to create a line of Durum wheat that could grow in the Pacific North West. As it turns out PNW Durum (as it's referred to) was a hot topic for a while and OSU was the hub of activity. Most of the excitement centered around the work of Dr. Karim Amman and Dr. C. James Peterson. Dr. Amman is a Durum wheat breeder who specializes in creating localized lines of Durum wheat. (You can read more about his work with Durum in Mexico). As Dr. Peterson describes in his article for the Oregon Wheat Commision (pdf), Karim created a new line of Durum called the "Connie" line. However, they were having problems with cold hardiness and the test crops kept getting wiped out. What?!?! Well, I couldn't find any other references to Dr. Karim that gave more insight. This was a killer for PNW Durum. Karim was the man with the plan. His departure was a heavy blow. 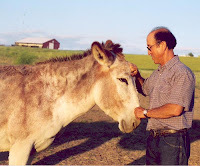 Dr. Karim Ammar was forced to return to Tunisia in May, 2000, due to obligations associated with his work visa. We closed out the OSU Durum wheat breeding effort shortly after that article. It is very difficult to consistently hit high grain protein targets in Oregon, as needed for commercially viable durum production. Budget cuts at the time, loss of our durum breeder, and change of management at Pendleton Flour Mills sealed the fate of the OSU durum effort. If you are a member of LinkedIn, you can find Dr. Karim's profile. He seems to be continuing his work of spreading Durum wheat around the world as Directeur Central at Poulina Group out of Tunisia. The website translation I had was not the best, and I could not find an email address for him. Here is a little more detail on the OSU program (pdf) that I found. In the course of my research I also came across an article on alternative wheats by Agricultural Horizons written by Tom Platt at WSU that described things in a much more optimistic light. In fact, it seemed to have all sorts of new information. Kronos is the variety grown most widely in the Pacific Northwest. This can be compared with No. 1 CWAC which is the major variety grown in Canada, Kofa which is very high quality durum produced in the Southwest, and Connie which is the winter variety grown around Pendleton. This made me very curious. Connie was supposed to be done when the OSU program ended. Where was WSU getting its information? And what is the Kronos line? This statement makes it sound like the stuff is positively everywhere, even though I had not come across a single person who knew of any actual farm growing Durum. Well, as it turns out, this article was too good to be true. I eventually heard back from Tom Platt with the WSU extension program and he let me know that that was an old article and there was no active program that he knew about and that according to the USDA National Agriculture Statistics Service, here was no durum bring grown in Washington. Dratts! But he also pointed me on to Dr. Michael Pumphrey, assistant professor with Crop and Soil Sciences. The variety tests are going on right now in secret locations across eastern Washington. I'll check in with Dr. Pumphrey in a month or so to see how the test results come out. He's been nice enough to promise to share the info. Let's hope one of those varieties works out. Winter Durum wheat testing is also being done in Kansas. What is duram wheat? And why is it important for pasta? Wheatfoods.org has a great description of why Durum wheat is best for pasta and where Semolina comes from. When durum is milled, the endosperm is ground into a granular product called semolina. A mixture of water and semolina forms stiff dough. Until someone figures out how to grow PNW Durum, normal flour will have to do. Here are the best local suppliers I could find. Stone-Buhr is the most available local wheat that I could find. They are essentially a distributor that collects wheat from different family farms around Oregon and Washington. You can even track the wheat you bought back the farmer who grew it using their Find the Farmer online tool. Amazing. While this may not be local in the farmer's market sense of the word, it is pretty darn good for a commodity product. Their product offering is limited to what grows in these areas, so don't expect an expansive selection of differnet wheat types. But if you want local, organic, sustaninable, family farm produced wheat, they are your best source. AND they are available in every supermarket I checked. Shepard's Grain is now partnered with Stone-Buhr. Azure Standard is locaed in Dufur, Oregon. A family farm that focuses on creating a really great product. They are also available online through Organic Kingdom. I found Azure Standard through the Chocolate Crayons blog. When I called Azure Standard they said they did not have any Durum wheat and that there was none in storage. Although they must have had some at some time. Quality Acres down by Junction City is supposed to be growing wheat, but I could not find a website or phone number to verify. Bob's Red Mill is a local mill that has out grown its local attachments. Although many people think they sell "local" grains, they actually import much of their product from around North America and internationally. Butte Creek Mill in Southern Oregon is a mill, but they import their grains. When i called, I was told they get most of their grain from Montana. Regional is better than nothing I guess. They did say that they occasionally get local grains for milling, but that it was rare. This is really interesting. With all the great local beer and bread, it would be nice to see more locally sourced wheat. Maybe it'll be the next big thing! Organic beer seems to be coming along and I remember seeing something about a "local" beer a while ago but can't remember which beer it was. But hopefully you are right and more bakers and brewers will start to use more local grains! Interesting article. I have been looking for durum wheat here in Portland and have been unable to find it. That is how I happened upon this article. Still haven't found it, local or not. Where is all the durum wheat going? Still would like to buy some. I posted as anonymous because I have no clue what the other options are. I just found your post while searching for local wheat in Portland and I'll be checking out the sites you mentioned, thanks!